From backpack to grill marks in no time. 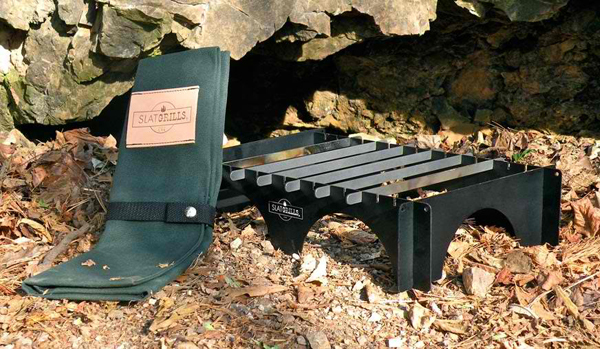 Experienced outdoorsman Chris Weyandt wanted a simple, portable, and versatile way to do what any guy wants to do in the woods….grillin’. 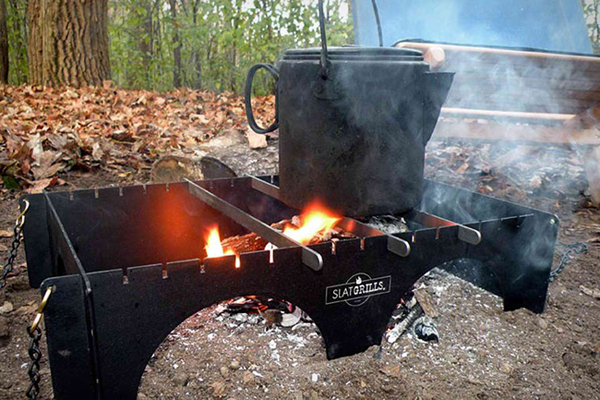 After a few community college courses in how to design and fabricate he ended up with an innovative, attractive, and modern styled solution for hikers and campers who like grilling to rejoice over. 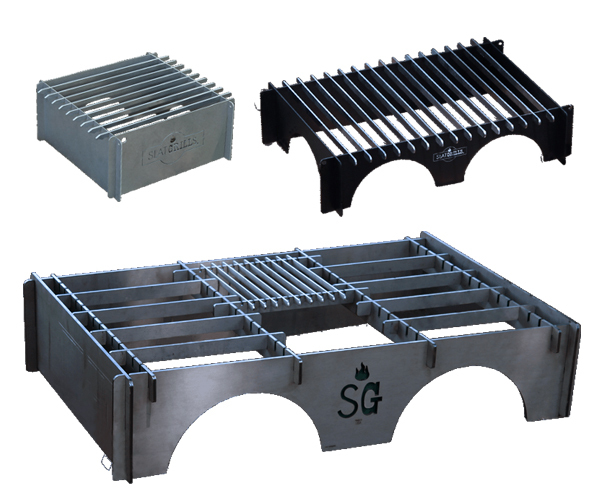 The Slatgrill is offered in a few different sizes and materials like anodized aluminum, stainless steel, carbon steel, and even titanium! Each works with a wide rage of fuel sources from wood to coal to gas. 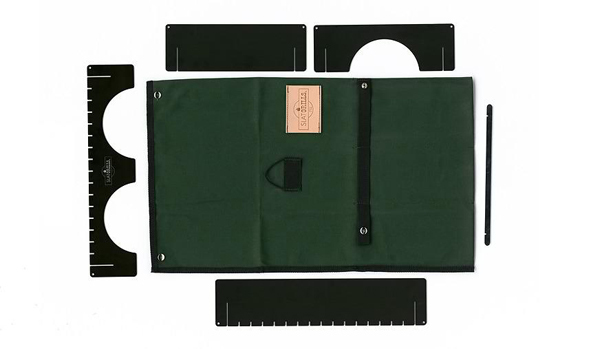 Each one is also very light and disassembles easily for transport in its own portable canvas organizer. 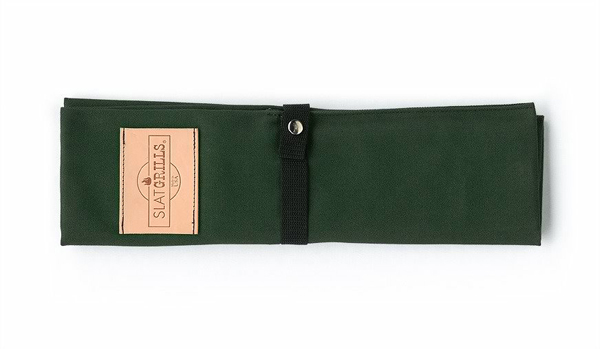 All materials are domestically sourced and assembled in Minnesota.